Although we can’t promise there will be one at the 2018 Twin Cities Auto Show, the new Aston Martin Vantage is truly a sight to behold. 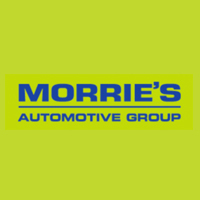 If you want a free pair of tickets to the auto show to check it out for yourself, register with Morrie’s Luxury Auto and we’ll hook you up. 0 comment(s) so far on Have You Seen The New Aston Martin Vantage Yet?